The Whitebrook has eight comfortable rooms, where you can enjoy total relaxation amidst the peace and tranquillity of the surrounding Wye valley. 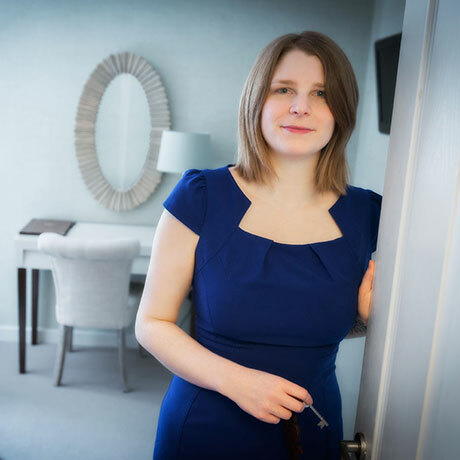 Four of the rooms have been refurbished and redesigned to a high standard of contemporary style and luxury, with large ensuite rooms with large double ended bath and walk-in shower. We are also graded five stars by the AA and Welsh Tourist Board for restaurants with rooms. One of our larger rooms that overlooks the brook in the valley opposite. Textured greens and blues bring a luxurious warmth to the room with a king size sleigh bed, luxury towelling & bath robes, small seating area, en suite bathroom with large double ended bath, walk-in shower. Our largest room that looks out onto the garden and woods. 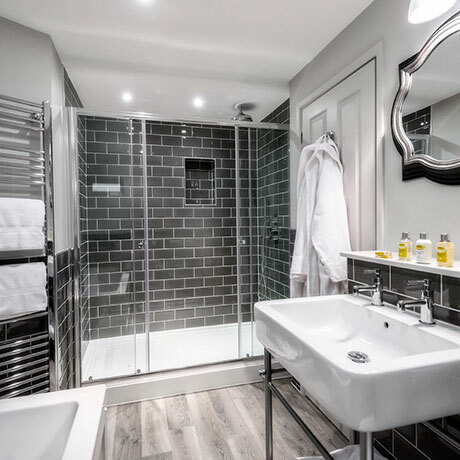 Shades of grey and splashes of colour with king size sleigh bed, luxury towelling & bath robes, small seating area, en suite bathroom with large double ended bath, walk-in shower. A large room with a super king size bed. Blues and golds reflects the views of the brook and the valley opposite. Luxury towelling & bath robes, en suite bathroom with separate large shower and large double ended bath. This room can be converted into a twin room. Room 4 that looks out on to the garden with textures of green and oak wood. A comfortable room with a king size bed, luxury towelling and bath robes. The room benefits from a modern stone wet room. Our double rooms on the second floor, all have a window seat with a garden view, these rooms are smaller in size, with double beds, luxury towelling, en suite bathrooms with combined bath and shower. Room 7 can be converted into a twin room. All prices are per night for 2 people sharing including dinner & breakfast. Rates vary depending on length of stay, midweek/weekend and time of year.